Longstreet is an American crime drama series that was broadcast on the ABC TV channel in the 1971-1972 season. A 90-minute pilot movie of the same name aired prior to the debut of the series as an ABC Movie of the Week. The series starred James Franciscus as insurance investigator Mike Longstreet. After a bomb (hidden in a champagne bottle) kills his wife, Ingrid, and leaves him blind, the title character pursues and captures the killers. He then continues his career as an insurance investigator despite his blindness. Bruce Lee appeared in four episodes as Li Tsung, an antiques dealer and Jeet Kune Do expert who becomes Longstreet’s martial arts instructor. Twenty-three episodes of the show were aired before it was canceled in 1972. 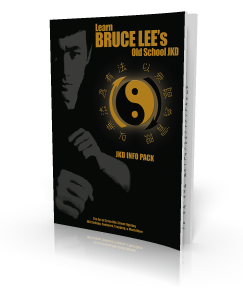 To Understand the Essence of What Jeet Kune Do Is, the episode titled ‘The Way of the Intercepting Fist’ included in this compilation containing all 4 appearances is a MUST WATCH NOW!! !